Lots of juniors saw their share prices drop last year, says Byron King. But in many cases they’re now better companies. It’s no secret that 2018 was a difficult year for the resource space, with companies both large and small suffering share price drops. Byron King, editor of Rickards’ Gold Speculator at Agora Financial, sees the silver lining in last year’s beating. Speaking at the recent Vancouver Resource Investment Conference, he explained that many of the stocks he covers have emerged this year as better companies. When asked to name a company he believes was able to weather the storm successfully, he pointed to Yukon-focused Victoria Gold (TSXV:VIT). “They have taken [their] project from an exploration play through early stage development … they raised their own money, they’re building their own mine,” he said. 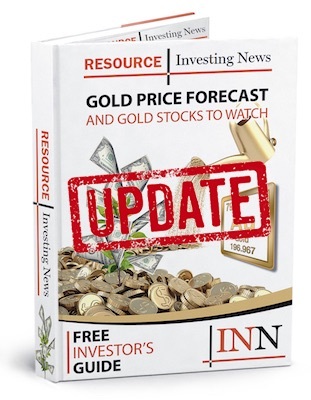 Listen to the interview above for more insight from King on the gold space, including the tie up between Newmont Mining (NYSE:NEM) and Goldcorp (TSX:G,NYSE:GG). You can also click here to view our full playlist from the conference on YouTube. Securities Disclosure: I, Charlotte McLeod, hold no direct investment interest in any company mentioned in this article. Editorial Disclosure: The Investing News Network does not guarantee the accuracy or thoroughness of the information reported in the interviews it conducts. The opinions expressed in these interviews do not reflect the opinions of the Investing News Network and do not constitute investment advice. All readers are encouraged to perform their own due diligence.